Cosy apartment with A/C, community swimming pool & garden area. 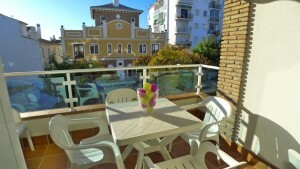 Good location close to Nerja town centre & the beach. Modern air conditioned holiday apartment in a quiet town centre location. Just 500m from the famous Balcon de Europa & the beach. Carabeo 1 - Holiday penthouse apartment with spectacular views, Sat TV & complimentary wifi. Delightful spacious air conditioned apartment with community swimming pool & garden area. Good location close to Nerja town centre & the beach. Capistrano Playa - Burriana - Nerja - A sunny apartment with stunning, uninterrupted sea views & FREE WiFi internet.